It seems the latest fad to hit the streets of Auckland, following Mexican, food trucks and other luxury takeaways, comes bagels - and boy are they delicious. 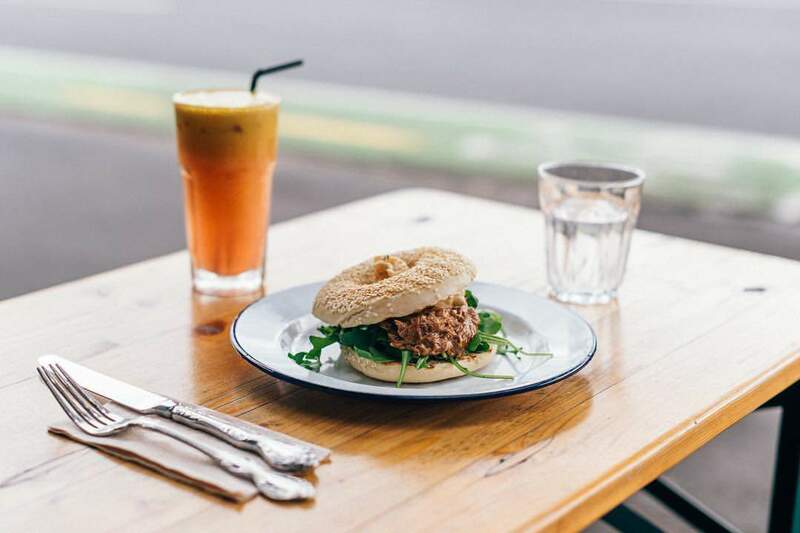 Goodness Gracious is the latest iteration to launch in our fair city, a tiny eatery tucked away at the top of New North Road, serving bagels, a few salads, baked goodies and, according to some, Auckland's best coffee. With the most diverse bagel menu we've ever seen this side of the Tasman, the primary focus of your visit should be the perusing and consumption of bagels. New York-style in design and generous in fillings and flavour, the discerning eater will be spoilt for choice – from the reasonably sized BLATs, Salmon, and Vege Bagels to the substantially satisfying Bagel Burger (like a man-dwich reborn in bagel form) and Chilli Con Carne Bagel. Unlike other bagel offerings which might go for deconstruction or a DIY situation, these are very much a well-built affair. More wild flavour designs not generally associated with this form of dough consumption, such as pulled pork and apple chutney or an eggs benedict style offering, almost round out the list – either way while they're slightly pricey they are also sensational and well worth the visit. Whatever option you choose rest assured the ingredients are top-notch and the flavours just right. 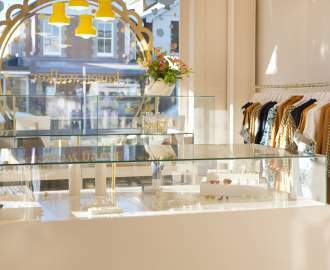 Complete with a well-planned, classic design and fit-out and a superb coffee machine that catches you on arrival, Goodness Gracious and its mini-outdoor/indoor setup makes for a quick and easy stop off, or a relaxed sit down (we do both). Rounding out your beverage selection is a variety of fresh juices and smoothies – from a sweet-tooth satisfying salted caramel and peanut butter, to the body boosting kale, spinach, banana and chia seed blend. Founded by Greg Cornes, and inspired by his time in Melbourne working at a bagel store with a similar setup, it's the perfect tucked away eatery – small in size but punching well above its weight in gourmet baked bagel goodness. We approve (and look forward to their liquor license being granted).